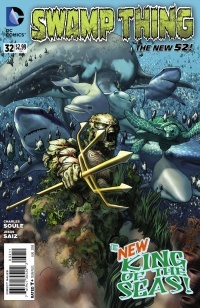 Aquaman has met Swamp Thing before this most recent issue, but this was a nice little crossover. 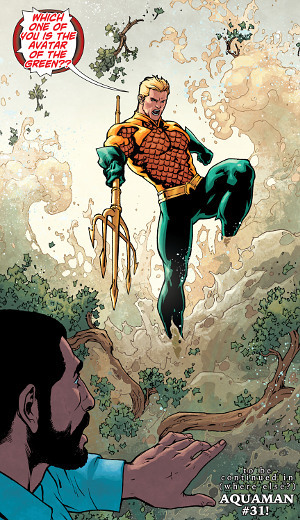 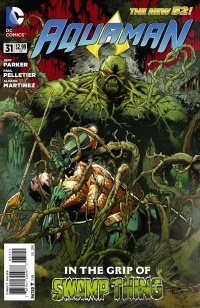 In the Peter David run, which happened in another universe, Aquaman met Swamp Thing in issue #32 when Arthur had driven his powers to the point where he was no longer completely in control of himself. 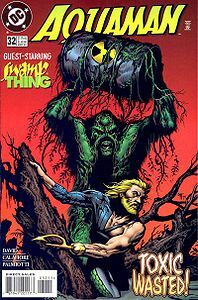 The Swamp Thing sends Aquaman on a vision quest, which runs into the next issue.